The photograph below shows John W.M. 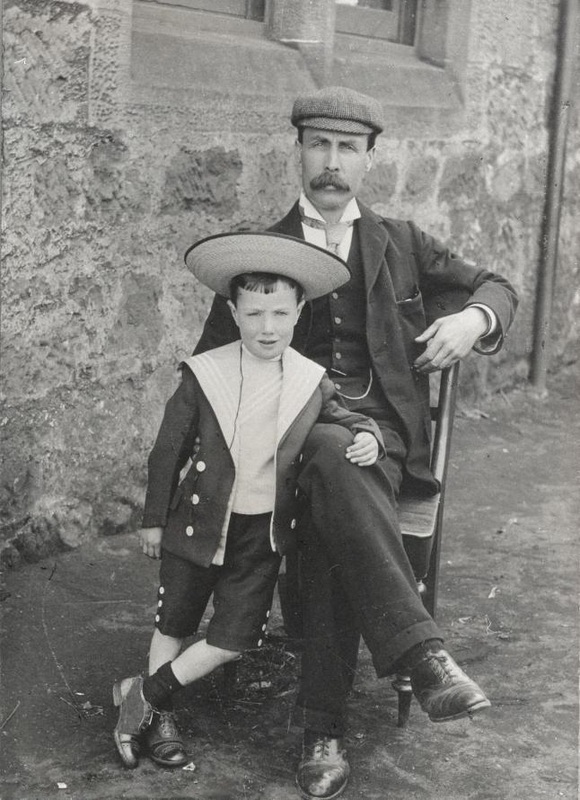 McInnes with his eldest son Duncan taken around 1904 when Duncan would have been about 7 or 8. John McInnes was well known locally as he was Headmaster at Whins of Milton School and a leading light of the local Borestone Bowling Club. His son went on to show an interest in farming and studied at the local Technical College of Agriculture. At the outbreak of the First World War, Duncan signed up as a Serjeant, number SE/6827, for the Army Veterinary Corps. This service cared for the horses, dogs and other animals, including pigeons, used by British forces in action. Various Veterinary Section AVCs were ordered to travel to Salonika in Macedonia, now known as Thessaloniki around late 1915. The Macedonian front was known as ‘Muckydonia’ by those who served there owing to the conditions on the ground and the prevalence of disease, including malaria. By the end of the campaign, 10,600 British soldiers had died on the Macedonian front, many of disease rather than in battle. 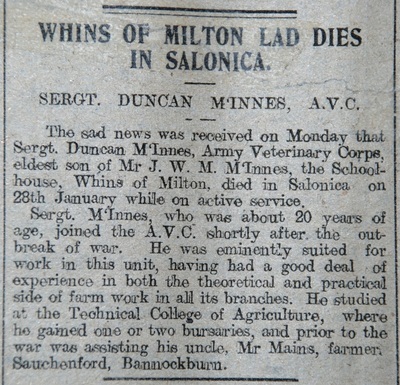 It is highly likely that it was disease that killed Duncan as there was no actual fighting in the Salonika area around the time of his death on the 28th January 1917. His obituary appeared in the Stirling Observer newspaper of 6th February 1917. 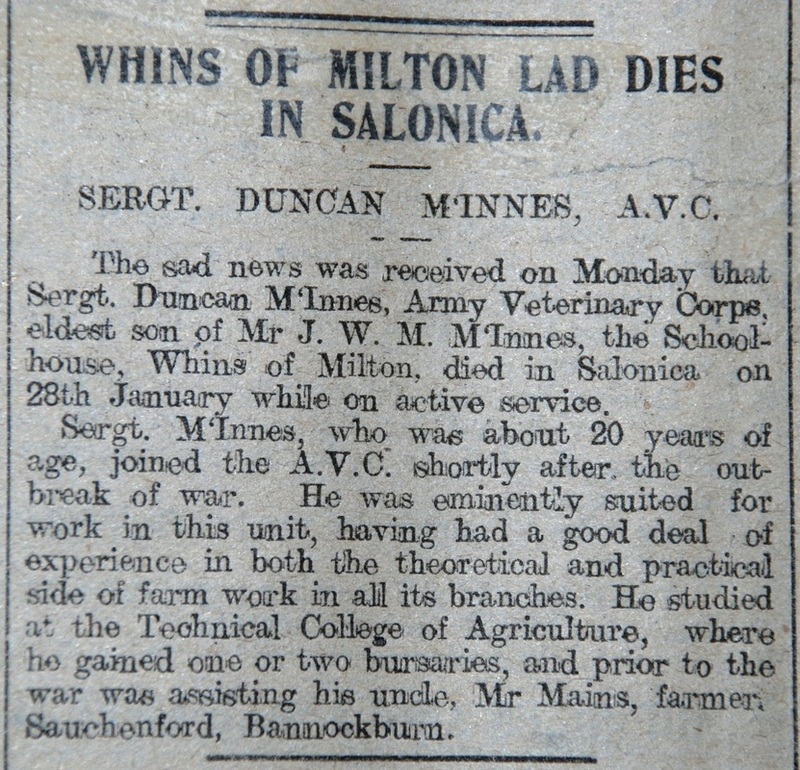 The wording of the notice says that Duncan died ‘while on active service’ which indicates that this is likely to have been owing to illness as the usual wording for those killed in battle was ‘killed in action’. 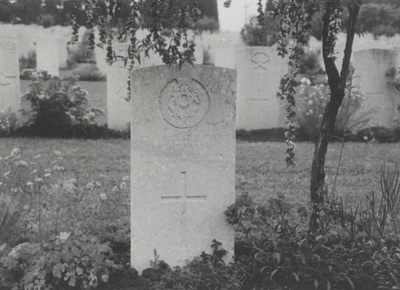 His grave is pictured in the Mikra British Cemetery, Kalamaria, near Thessaloniki.